I have said it before, I will repeat it again: you are a genius. 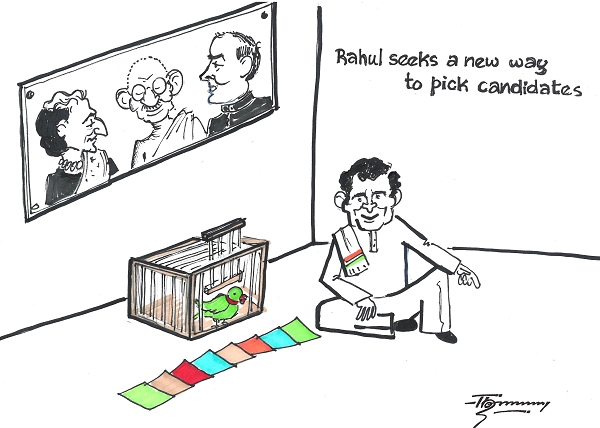 I pity the poor bird as Rahul Baba has given her choices that came from Mommy Dearest. Thanks for the joy you gave, very apt as it should be for a cartoon.